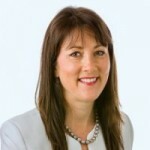 Lisa Grinham is the CEO of Good2Give, a Not for Profit which works with companies to encourage corporate philanthropy. Lisa Grinham, Tuesday, 23rd May 2017 - Charities need to reclaim their tax narrative this 30 June, writes Lisa Grinham the CEO of Good2Give. Lisa Grinham, Friday, 24th February 2017 - While a revised fundraising code of practice is welcome, the responsibility for any charter in this space is to be visionary and bold, writes Good2Give CEO Lisa Grinham. Lisa Grinham, Wednesday, 30th November 2016 - Corporate social responsibility experts agree that sophisticated community investments aren’t enough in climates of heightened scepticism, writes Lisa Grinham, Good2Give CEO. Lisa Grinham, Tuesday, 6th September 2016 - It’s no longer enough for your corporate partnerships to align in reputation alone – if you’re not sharing tangible community impact, it’s not going to be worth your time, nor theirs, writes Good2Give CEO Lisa Grinham.